Liberato “Levy” P. Laus grew up from humble beginnings and had a noble dream as a young man to transform his life for the better. His visionary spirit characterized by hard work, innovation and love for his hometown paved the way for a monumental shift in his career path. In 1978, Laus left his corporate job as a bank manager to be among visionary entrepreneur at the age of 28. He took the challenge of putting up a business in his hometown of San Fernando, the capital of Pampanga. His long-term goal was to help elevate countryside development to a new level and create employment opportunities. The small car dealership with only three car displays funded with a meager capital blossomed into the highly diversified conglomerate that is now known as the LausGroup. During the Mount Pinatubo eruption in 1991, Pampanga experienced huge damage to livelihood and the economy. 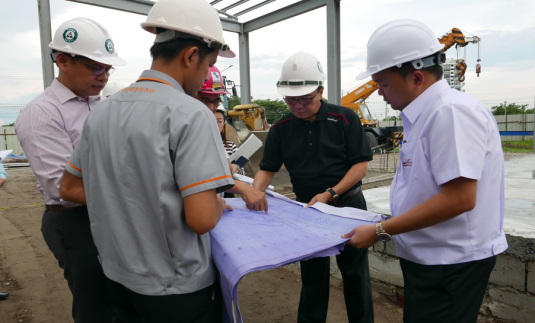 Laus was instrumental in the implementation of a disaster management plan together with local government leaders, fellow businessmen and the civic society by organizing relief and emergency efforts. Today, the LausGroup continues to transform the landscape of countryside business and expand its reach and influence across Northern and Central Luzon hewing as faithful as ever to its role as catalyst for countryside progress. The Laus Group of Companies is a diversified conglomerate with automotive dealership as its core business. 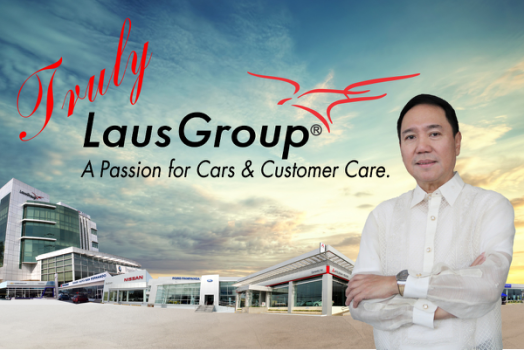 One of the most admired and trusted companies in central and north Luzon, LausGroup began as a small allied subdealer of automobiles established in 1978 under the name Carworld. Through Levy P. Laus’ hard work, foresight and hands-on leadership, he steered the company through tough times and acquired several dealerships to support the business’ rapid expansion. With over 40 dealerships spanning three regions—Meto Manila, Central and Northern Luzon—the LausAutoGroup is the largest and fastest growing multi-brand automotive network in the Philippines. Is the group’s guiding philosophy that continues to transform the way every dealership conduct business. The dealerships have garnered the special distinction both in the sales and aftersales categories as a testament to their commitment and dedication to excellence, innovation and customer satisfaction. Laus Auto Group is the largest and fastest growing multi-brand automotive network in the country today. It is composed of dealerships across Central, Northern Luzon, and Metro Manila. It has 40 independent auto dealerships under 11 car brands, which are comprised of the following: Mitsubishi, Kia, Nissan, Hyundai, BMW, Ford, Chevrolet, Mazda, Suzuki, Volkswagen and exclusive distributor of Haima. Through the years, capitalizing on its core values and pursuit of excellence, the LausGroup successfully expanded with other ancillary business units complementing the dynamic growth of its auto dealership. These include CGIC, a non-life insurance company with ISO 9001: 2008 certification, auto financing, Huper-Optik nano-ceramic films, Voltronic motor oil, Carworld Caltex, Goodyear Tire City and Yokohama Pampanga. In addition, the company also established its own pre-owned car company. Carmix (Carmix, Inc.) is a trusted provider of quality used vehicles since 1983, and was later on followed by Carmix 2 in 2013. The LausGroup has invested in local media through RWFM radio station, CLTV station and Sunstar Pampanga,in line with his vision of boosting growth and development in the countryside. Other businesses include Max’s restaurants, Familyville real estate and the newest addition the corporate family, the Laus Group Event Centre. The highly dynamic and competitive business organization, is composed of approximately 1,600 employees in more than 60 business units. In a short period of time they have gained the trust and confidence of the people specially in Central Luzon. Their reputation and service excellence has been noticeable and gained various citations in Automotive Industry. Just recently, Ford Pampanga was named the OVERALL CHAMPION in Ford National Skills Competition for 5 consecutive years. In the same breathe, KIA Pampanga had won 8 out of the 15 awards at the recently concluded KIA Awards Night Sales and After sales operations. Last year, KIA Pampanga also won the Platinum Prestige – the Silver Turtleship title which is the most coveted KIA Awards in the Philippines. Amidst all the achievements, the Management dedicated this award to all their loyal patrons and incentivized all hardworking and dedicated employees. To complement the dynamic growth of its auto dealerships, the LausGroup, as the country’s leading automotive network, is taking things to the next level with the newest and most advanced addition to its extensive list of automotive solutions providers – Laus Auto Services. Want to know more about LausAutoServices? Data Protection Policy © 2019 LausAutoServices. All Rights Reserved.